Strange Tales from Ohio 2nd Edition . . . Learn why residents of Blueball, Ohio, erected a monument to a pig. Witness the birth of the Inflatoplane (an inflatable airplane, of course) in Akron, and revisit Ohio’s last public whipping, near Dayton. Read about the Funeral Home Museum . . . the Curse of Leatherlips . . . The world’s first recorded automobile accident . . . the oldest Revolutionary War veteran . . . cemetery rootbeer . . . the man who invented disposable diapers . . .
A treat for anyone who enjoys discovering the real wonders of the Buckeye State! 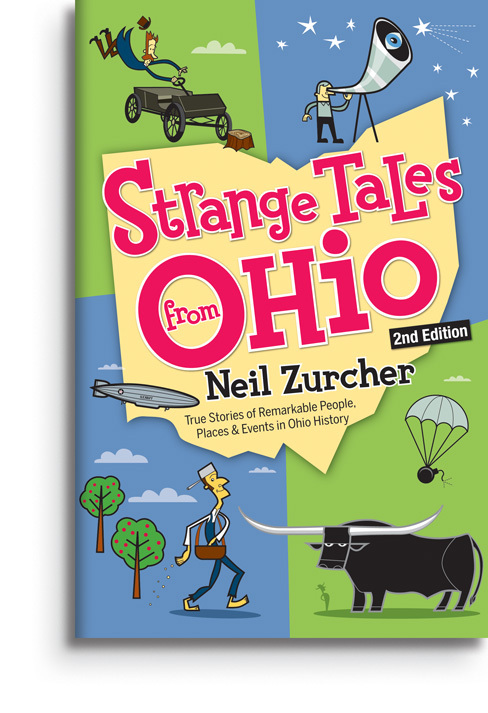 This entry was posted in Books and tagged Strange Tales from Ohio on November 4, 2008 by Neil.